From a young age I’ve always had a love for dancing. Growing up being very shy, movement and performing became my happy place! I started my dance training at the Legat School of Dance, then at 18, Northern Ballet School where I studied a wide variety of dance styles. 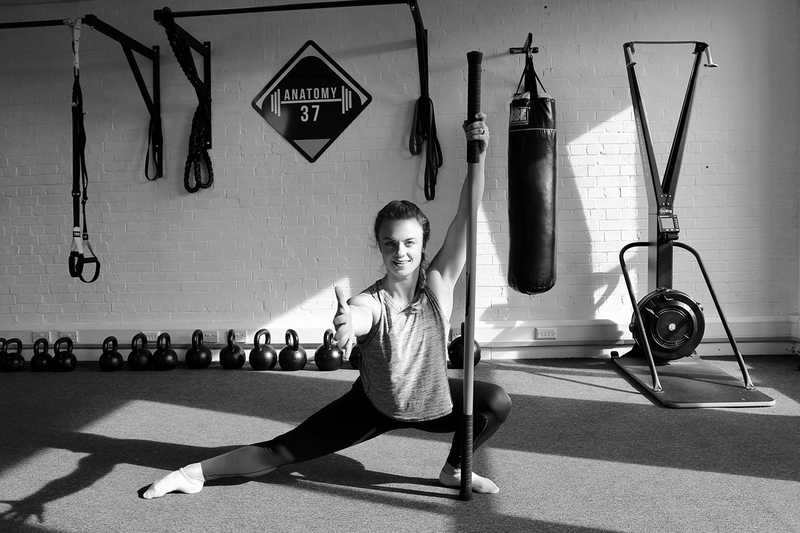 Since becoming a Personal Trainer in 2014 I have been developing my own personal training style using a combination of movement, mobility and strength training. I have recently become a Functional Range Conditioning Specialist- which I’m excited to continue learning and applying these techniques to my training. My goal is to help others enjoy movement, feel stronger and not feel like exercise is a chore! I tailor my training to you- whether you are completely new to exercise, looking to improve your quality of life, a pro athlete looking to improve performance (or anything in-between!). Don’t hesitate to get in touch and start making positive changes today! If you are looking for a personal trainer in Crowborough, Tonbridge, Tunbridge Wells or Sevenoaks, contact me using the following form and I will get back to you as soon as possible. After a life of not doing a lot exercise but enjoying food and a glass of wine, I needed to do something to change my habits. Never one to enjoy going to the gym, I embarked on finding the right person to help me change my ways. Thankfully I found Lucy. 7 months later, I lost 16kg in weight, 25 cm from my waist and can run up a flight of stairs without needing oxygen. Lucy’s approach is one of gently does it, at least so it seems. Pleasant, always on time and always friendly. Lucy gets the best and more out of me every time. She does so with a smile but don’t let her smile deceive. The smile is her secret weapon to make you think the task ahead is easy….. I admire her skill to surprise me every time with a new challenge, pushing me that little harder. I still have not become a great fan of exercising or going to the gym. I have however become a fan of doing something for me and my body and for doing so with Lucy’s help and motivational skills. And, dare I say, even enjoying the sessions. Without Lucy that would have been impossible. I started training with Lucy about 3 months after having my first baby with the aim of losing some of that baby weight, building back my core strength (though truth be told I wasn’t happy with either even pre- pregnancy) and to have a little break/ do something for myself at least once a week. During the first 12 weeks of training with Lucy I lost about 2 and a half stone and I felt much stronger and fitter than I had in years. More importantly I actually really enjoyed and looked forward to each session ( in fact I still do because I signed up for more sessions after the initial programme ended). Lucy is warm and approachable and has a gentle way of motivating and challenging me that gets the best out of me without being intimidating. Her sessions are varied, interesting, progressive and fun. All in all I am so happy to have found Lucy and am really grateful to her for the huge part she’s played in my “getting back into fitness” journey so far. I love training with Lucy. She really knows her stuff and challenges me with different workouts every week. Week on week she gently encourages and motivates me to keep going, even when I don’t feel I can and am lying on the floor, defeated! She got to know my abilities very quickly and always believes in me, she pushes me to lift heaver and move further every week. She is also happy to help with my diet and has provided me with some great home workouts to do outside our sessions. Since working with Lucy, I have become happier in my body than ever before. As well as this, Lucy is the nicest PT I’ve ever met, she is always smiling and I look forward to our sessions together as it feels like exercising with a friend.